The world’s surface is 71% water. The other 29% faces increasing populations and decreasing resources. No wonder, then, that countries are starting to unlock the socio-economic benefits of aquaculture, marine mining and other ocean-based industries. South Africa, whose 3000 km-long coastline comprises more than half its national boundaries, is riding the crest of this wave of development under the governmental masthead of Operation Phakisa. Commercial seaports provide a hub for coastal or offshore industrial development and, in themselves, offer enormous economic potential through strategic expansion and development. South Africa is fortunate to have eight major seaports, maintained by the Transnet National Ports Authority: Richards Bay; Durban; East London; Ngqura (part of the Coega Industrial Development Zone); Port Elizabeth; Mossel Bay; Cape Town and Saldanha. Durban and Cape Town rank among Africa’s busiest ports, with Durban handling 80+ million tons of cargo every year. Richard’s Bay, to the north-east, handles about 60% of South Africa’s annual seaborne cargo. East London is unique, comprising the only commercial river port in South Africa. As the country’s newest port, Nqgura is the only one with environmental authorisation supporting its construction and operation. While being the country’s smallest commercial port, Mossel Bay is key to the economy, being home to Mossgass (Petro SA) and related oil industries. Saldanha, up the west coast, is the largest and deepest natural port in the southern hemisphere and is crucial to the shipment of iron ore.
Viewed as a combined national resource, South Africa’s ports and their environs offer significant potential for vital growth – in what has lately been a stagnant economy – along with regional job creation and skills development. This makes them integral to the outcome of the government’s National Development Plan (NDP), which aims to eradicate poverty by 2030. First announced in 2012, it was the NDP that provided the impetus for Operation Phakisa, launched two years later by President Jacob Zuma. Based on a programme first pioneered by Singapore called “Big Fast Results”, Operation Phakisa (“Hurry up” in Sesotho) adopted the same spirit and methodology of accelerating the delivery of national development milestones; for South Africa specifically, that meant using the Malaysian example in order to achieve the NDP’s goals. It was decided to launch Operation Phakisa in two sectors; health, and the “ocean economy”. An ocean economy is defined as “the economic activities that directly or indirectly take place in the ocean, use outputs from the ocean, and put goods and services into oceanic activities”. In 2010, South Africa’s ocean economy contributed about R54-billion to the GDP and accounted for approximately 316 000 jobs. It has been calculated that fully maximising its potential could contribute up to R177-billion to the GDP and create over a million more jobs by 2033. Government knew that achieving Operation Phakisa’s ambitious growth plan for the ocean economy within less than two decades would require an “all hands on deck” collaborative effort. So the first phase saw the implementation of a pioneering “Oceans Economy Lab” programme, intended to navigate a course for Operation Phakisa via intensive workshops involving detailed problem analysis; priority setting; intervention planning, and consensus on deliverables. Three hundred million tons of cargo move through our ports in imports and exports every year. South Africa is ideally positioned to serve East-West cargo traffic, as well as Africa’s growing offshore oil and gas industry, through marine manufacturing (ship- building, repairs and refurbishments). Furthermore, of the 80 oil rigs estimated to be in the range of Western Cape, only a handful are serviced from South Africa per year, meaning significant potential for growth. The country could create at least 5 000 new jobs by providing greater capacity for ship and oil rig repair and maintenance, and the demand from other countries plying the surrounding seas can only grow. Since the launch of Operation Phakisa, the Transnet National Ports Authority (TNPA) has been intensively focusing on developing marine transport and manufacturing at all of the country’s major ports. South Africa’s coast and adjoining waters have possible resources of 9 billion barrels of oil. This is equivalent to 40 years of South African oil consumption. Also out there: 11 billion oil barrels’ equivalent of natural gas, which is equal to 375 years of South African gas consumption. an impact on the country’s sensitive marine ecosystems. In early 2016, Minister of Science and Technology, Naledi Pandor, launched the South African Marine Research and Exploration Forum (SAMREF), an initiative to responsibly leverage research opportunities in offshore oil and gas exploration. The Department of Science and Technology (DST) and the Offshore Petroleum Association of South Africa (OPASA) signed a memorandum of understanding, so that SAMREF could manage any conflict between the need to develop the oil and gas sector and South Africa’s responsibility to be a low- carbon economy. to almost half of the global fish supply, but less than 1% of South Africa’s fish supply. The sector offers significant potential for rural development, especially among marginalised coastal communities. An Operation Phakisa work stream focused on aquaculture initially identified eight initiatives to spur the growth of the sector, and 24 possible aquaculture projects; in fact, 32 projects in aquaculture have since been initiated with 10 of them, valued at R338-million, already in the production phase. These projects are expected to grow the aquaculture sector’s revenue significantly by 2019. A new Aquaculture Bill, drafted in 2015 and intended to develop an equitable and competitive aquaculture sector, is now under review by State law advisors. The establishment of an Aquaculture Development Fund is also proposed, to consolidate government’s funds from five departments into one pot. South Africa is a maritime nation with jurisdiction over one of the largest exclusive economic zones in the world. Given the oceanic expanse under its watch, effective governance is critical – but challenging in complexity. A dedicated Operation Phakisa work stream undertook the task of developing an overarching, integrated ocean governance framework for the sustainable growth of the ocean economy and identified 10 initiatives to be implemented by 2019. Planning addressed the protection of the ocean environment from all illegal activities. Progress commenced on working towards an “Oceans Act” designed to provide a clear foundation for marine spatial planning. South Africa is also one of only three African nations – along with Namibia and Seychelles – currently implementing marine spatial planning. This growing movement toward organised ocean economies balances competing uses such as oil exploration, marine protected areas and fisheries. Earlier this year, the Department of Environmental Affairs, DEA, published a draft Marine Spatial Planning Bill – the first step toward creating marine-specific legislation. By early 2016, more than R17-billion had been unlocked in the economy since Operation Phakisa’s launch, and 4 500 people had found jobs. Focus has mostly been on the development of infrastructure at South Africa’s major ports, to make them more efficient for the maritime industry and attract investment. Up to R7-billion has been committed towards new port facilities and refurbishments, specifically. in Gansbaai, Saldanha Bay, Struisbaai, Gordons Bay and Lamberts Bay, as well as the establishment of the three new harbours in Boegoebaai in Northern Cape, Port St Johns in Eastern Cape and Hibberdene in KwaZulu-Natal – opening the door to much-needed regional economic development. 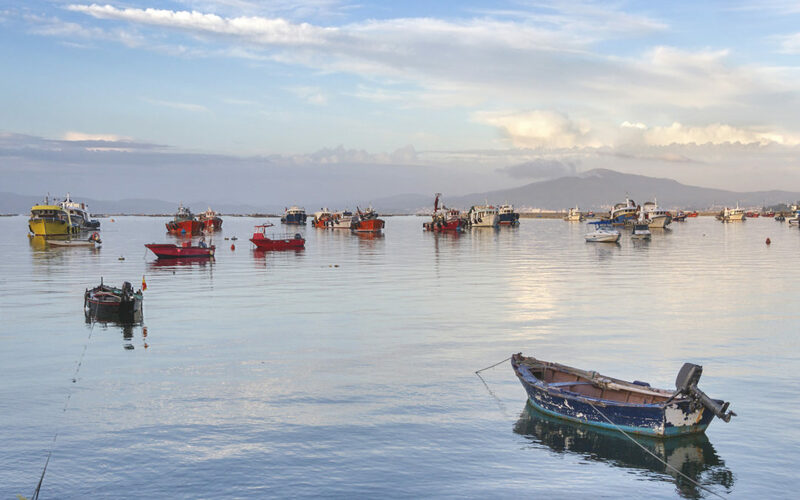 The Department of Environmental Affairs has announced the creation of 22 new Marine Protected Areas – increasing the area of South Africa’s oceans under formal protection quite significantly. This move should go some way to protecting the sustainability of under- pressure fish stocks – if these areas can be adequately patrolled against transgressing fishing flotillas. Ongoing investment into the bustling 11 500 hectares of the Eastern Cape’s Coega Industrial Development Zone (IDZ), established in 1999 adjacent to Ngqura, is integral to the realisation of Operation Phakisa. Among many benchmark developments for the IDZ – recognised as one of the best Industrial Development Zones in Africa by Dr Li Yuanchao, Vice-President of the People’s Republic of China – an R11-billion investment deal was recently signed with the Beijing Automobile International Corporation (BAIC) for the establishment of a car manufacturing plant. Future long-term projects include a new international cargo airport in the advanced manufacturing cluster; a new oil refinery; an aquaculture farm and a new gas power plant – making Coega a key driver in job creation both regionally and nationally. Meanwhile greenfield projects earmarked by the Transnet National Ports Authority (TNPA) include new capacity-creating projects at Saldanha, Richards Bay and East London, planned as public participation partnerships (PSPs). At Saldanha Bay, new facilities are slated to service the offshore oil and gas industry, supported by the Saldanha Bay IDZ. Plans are afoot to develop the country’s first offshore supply base, which could operate as an oil and gas “multipurpose terminal”. At Richards Bay, meanwhile, the TNPA is looking into procuring a flexible ship repair facility through the private sector. In East London, the TNPA aims to generate a new boat-building industry, likely to focus on tug boats and navy vessels. Finally, the TNPA has been busy refurbishing existing ship repair facilities at Durban, East London, Port Elizabeth, Mossel Bay and Cape Town. At Cape Town, further developments include a new marine training centre for skills development and job creation. All the new build projects under Operation Phakisa are expected to be fully operational by 2020. Held in November 2016 in Cape Town, the Norway-South Africa Science Week even saw South Africa workshopping ocean economy opportunities 7 000 km offshore – in Antarctica. Opportunities explored, together with Norwegian representatives and experts, include leveraging South Africa’s convenient geographic location for Antarctic research, as well as tourism activities such as snow skiing, ice skating, kite-boarding and wildlife-viewing trips. South Africa plans to continue working closely with Norway going forward, a country steeped in the ocean economy itself, and one having historic ties with our country since providing South Africa’s first Antarctic base nearly 60 years ago. By 2030, may it be said that, indeed, we are.